Teen Depression, What Do I Do Now? 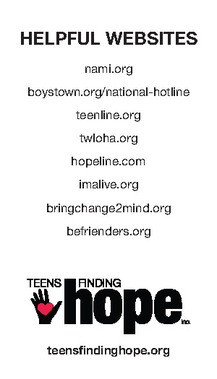 - Teens Finding Hope, Inc. Medication Information: click here for the medication chart handout. 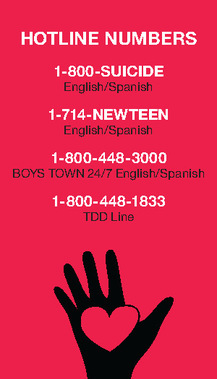 Suicide Awareness Voices of Education [online] National Mental Health Association, “Fact Sheet: Suicide"